Here’s some 80’s goodness for you to download and enjoy where I have also added a few specific requests apart from my favorites as usual. 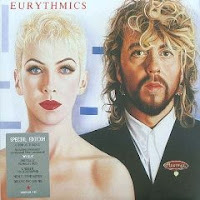 Starting with the lovely Annie Lennox -Eurythmics' 1986 hit “The Miracle of Love" from their third album ‘Revenge’, I have added the vintage funk band The Bar-Kays' re-release of their 1984 hit “Sexomatic” for its groovy soul flavor and the three-time Grammy Award-nominee Joan Armatrading’s UK top 40 hit "Drop the Pilot" from her 1983 album ‘The Key’. 80’s rock fans will enjoy my addition of Billy Satellite’s 1984 debut Billboard Hot 100 hit "I Wanna Go Back", Pat Benator’s Grammy Award winning Billboard No.1 hit "Love Is a Battlefield" from her super successful 1984 album ‘Live from Earth’ and ex-Eagles Don Henley’s Grammy nominated all-time biggest hit "Dirty Laundry". Considered as one of the 100 Greatest Guitarists of All Time by Rolling Stone, Robbie Robertson’s “Shake This Town” is a request from a friend and is a great song with brooding undertones. Other requests include the former Chicago front man Peter Cetera’s "Daddy's Girl" from the 1987 hit soundtrack of ‘Three Men and a Baby’ and Rock and Roll Hall of Fame inductee Jackson Browne’s “In The Shape Of A Heart”. "Hold Me", a top 40 dance hit of Laura Branigan from her 1985 album of the same name and the 1988 Dance hit “I Want To Be Your Property” by the British act Blue Mercedes are personal favorites that I wanted to add in my last upload. Download and enjoy!! IF YOU LIKE EM, BUY EM! !